Connect the positive (+) tester probe to terminal 3 (VG), and negative (-) tester probe to terminal 2 (E2G). Standard: 6.9 to 7.9 W at 20 C (68 F) If the result is not as specified, replace the OCV assy. 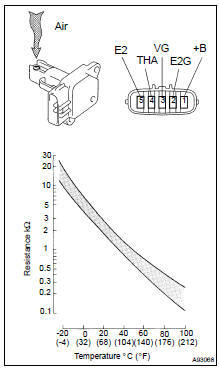 (a) Check the accelerator pedal position sensor (see page 05-102 ). (a) Measure the resistance between terminals 1 and 2. 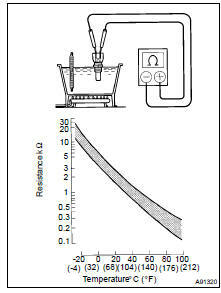 (a) Remove the circuit opening relay from the R/B sub-assy (b) Measure the resistance of the relay.